Papers may be filed in patent applications and reexamination proceedings by registered attorneys or agents not of record under 37 CFR 1.34. Filing of such papers is considered to be a representation that the attorney or agent is authorized to act in a representative capacity on behalf of applicant. See MPEP § 402.03. Interviews may be conducted with a registered practitioner who has proper authority from the applicant or attorney or agent of record in the form of a power of attorney or authorization to act in a representative capacity, whether or not the practitioner has a copy of the application file. See MPEP § 713.05. 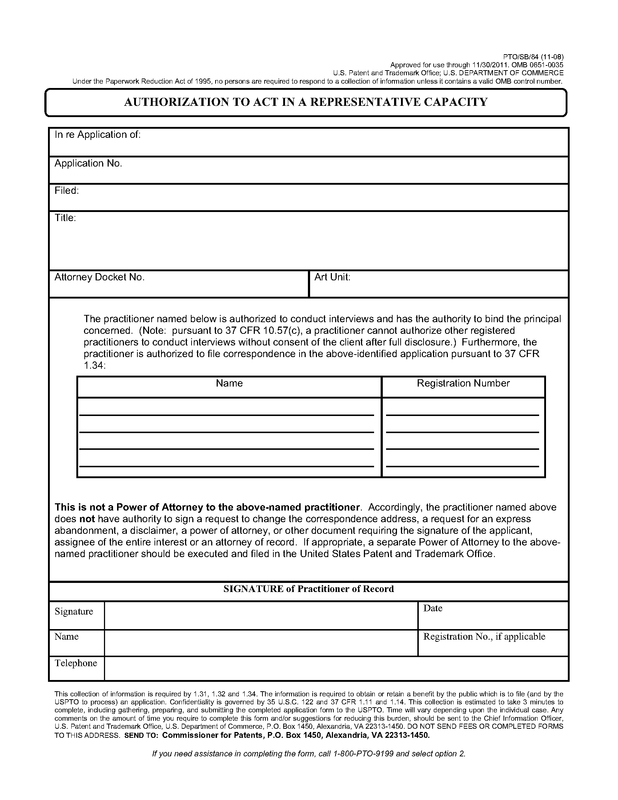 Registered practitioners, when acting in a representative capacity, can alternatively show authorization to conduct an interview by completing, signing and filing an Applicant Initiated Interview Request Form (PTOL-413A). See MPEP §§ 713.01 and 713.05. This eliminates the need to file a power of attorney or authorization to act in a representative capacity before having an interview. However, an interview concerning an application that has not been published under 35 U.S.C. 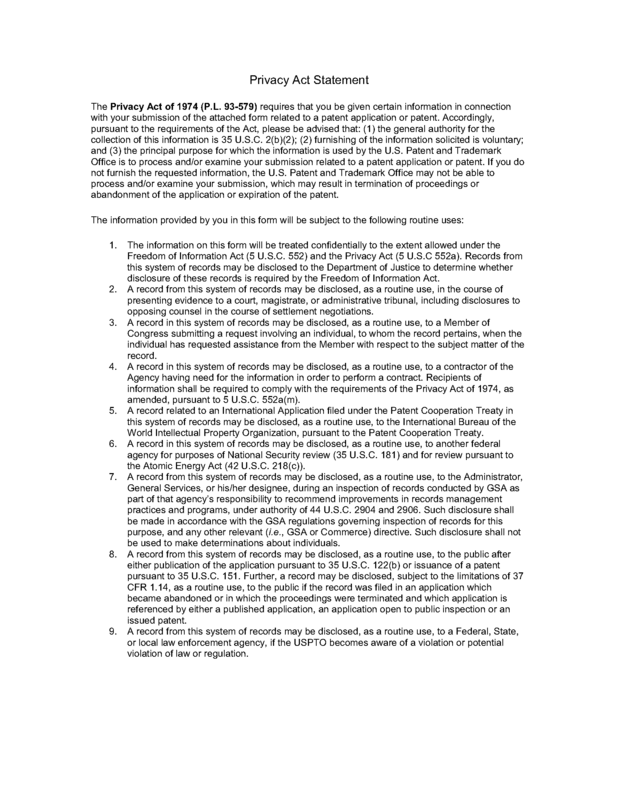 122(b) with an attorney or agent not of record who obtains authorization through use of the interview request form will be conducted based on the information and files supplied by the attorney or agent in view of the confidentiality requirements of 35 U.S.C. 122(a). Such a paper may be a Form/PTO/SB/84, "Authorization to Act in a Representative Capacity," which is available from the USPTO website at www.uspto.gov/sites/default/files/web/forms/sb0084.pdf. See MPEP § 402.03 for information regarding when a change of correspondence address or a document granting access (i.e., a power to inspect) may be signed by an attorney or agent who is not of record.